Club Penguin Cheats by Mimo777 Club Penguin Cheats by Mimo777: Daffodaily5's Featured Fashion: May 6th! 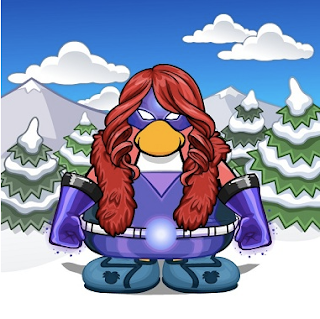 There were so many awesome super hero names submitted from the last Featured Fashion! They were ALL super crazy, fun, and creative! So here are the favorites below! Those are some crazy awesome names! 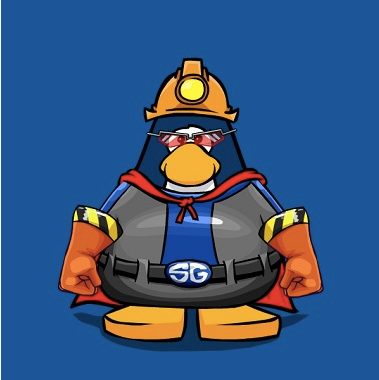 Everyone who suggested those names that CP picked got 1000 coins for their penguin! For this week, CP has two more penguin's for us to pick some more CRAZY names for! So be sure you let Club Penguin know what AWESOME super hero names you've come up with for these two penguins! Because if your name gets picked by CP then you'll get 1000 coins! Let ME know what you think they should be named too! Mimo, you deserve more visitors on this site. You update regularly (maybe in the top 3 most updated) and your website is easy to find information. Love your website! Im dressed as nick fury!! !